Because of their long heat-up time and high energy use, electric heater works best in a residential setting for small pools and spas. 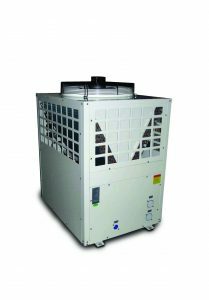 They are also a good choice for public and semipublic indoor pools, where heat/chill pumps may not be an option. Heat is produced by an electric coil immersed in the water flowing through the unit. The unit has its own control circuit or only a thermostat control. Electrical heaters are considered 100% efficient-all the heat produced goes into the water. 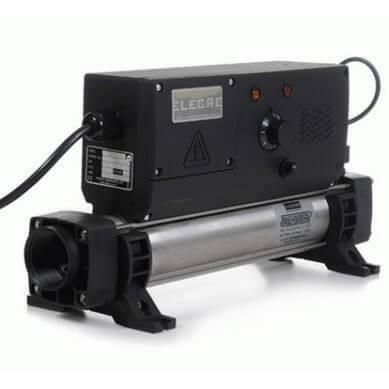 For pools, choose the largest size heater that the electric supply can support. Electric heaters of over 3 kW will require a dedicated supply. All electric heaters should be kept under cover and installed with a breaker for safety.